After practicing in Salt Lake City for a number of years I am pleased to be practicing law in Heber City, Utah. While I am the Heber City Justice Court Judge (a part-time position), I maintain a full time law practice handling civil cases throughout Utah. We provide legal services in all state and federal courts; contract review and drafting; construction claims for defective work, inadequate plans, changes in the scope of work; land use planning and real estate; collections including mechanic’s liens and bond claims; and commercial litigation. Handled legal matters involving small businesses, real estate, construction, contracts, and criminal law. 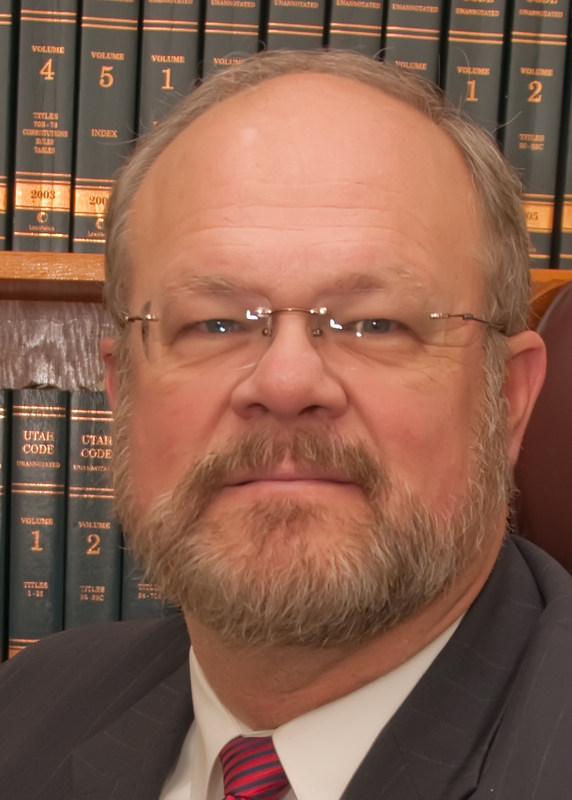 Member of the Construction and Alternative Dispute Resolution sections of the Utah State Bar; Judge pro tem for the Third Circuit Court, small claims division. Representative clients: Ralph Smith Company, Binggeli Rock Products, Heber Valley Bank, MCM Engineering, and UdellÃÂ¢s Cabinets, Inc. Sole practitioner handling commercial litigation, contract disputes, criminal, real estate, and personal injury work. Founder and shareholder in full service law firm focusing on business law, construction and personal injury claims. General advice and consultation regarding government contracting and claims litigation before the Armed Services Board of Contract Appeals, State and Federal Courts; management of outside litigation counsel and California litigation. Commercial litigation and foreclosures; Litigation of collections, contract disputes, mechanic’s lien and bond claims. Actively involved with contract document preparation, claim preparation and presentation before Federal and State boards; Author of a number of articles for the Intermountain Contractor magazine, active in various construction trade associations. General practice consisting of family law, collections, criminal law, consumer rights, personal injury and bankruptcy. Activities: J.D. Degree earned December 1983. Judicial Internship, Utah’s Third Judicial District Court, Judge David B. Dee, Summer/Fall, 1983. American Inn of Court II, student member 1983 – 1984. Activities: Active member Utah State Bar since April 1984, – Construction Section; former screening panel member of the Utah State Bar Ethics Committee; former member of Utah Association for Justice, and board member of Utah Association Criminal Defense Lawyers. Served as Judge pro tem for the Third District Court, small claims division, and as a trainer for Small Claims Courts in Utah. Certified Mediator and Arbitrator. In 9/2010, was appointed part-time Justice Court Judge in Heber City, Utah.